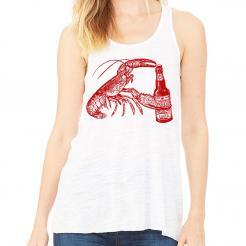 A Maine lobster opening a bottle of beer. 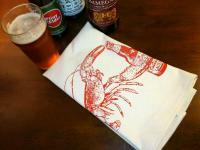 This crafty crustacean is cracking open a cold Cthulu lager! The design is screen printed by hand in environmentally friendly water based red ink on a natural colored 16"x24" 100% cotton towel.